Mechwarrior you know it? The robot is controlled by the people in it? There are products called Kid's Walker robots that resemble real Mechwarrior but certainly there were no weapons in it. 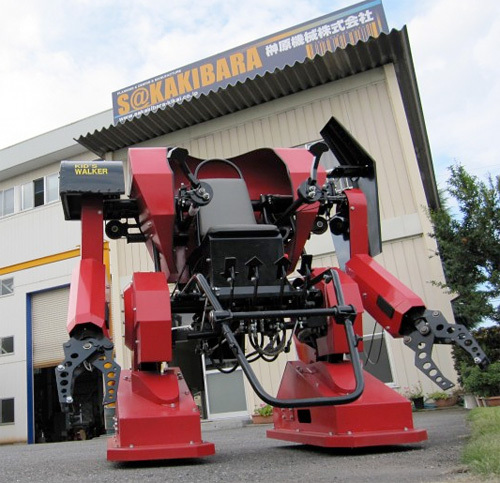 This robot products made ​​for children by a company called Sakakibara Kikai. These robots are about 5 1 / 4 feet and weighing less than 400 pounds. This robot is not actually running but has wheels so it is actually like a car but covered by the foot. 80s Cell Phone Case Making your iPhone so Retro and Looks like a old hp. © Copyright 2010-2011 computer science & technology All Rights Reserved. Template Design by zizif | Published by Borneo Templates | Powered by Blogger.com.